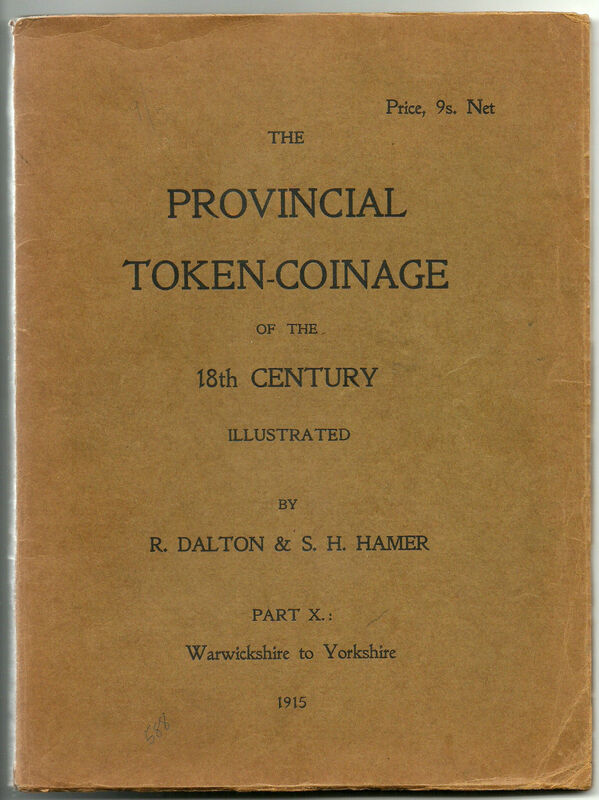 DALTON & HAMER’S, “THE PROVINCIAL TOKEN-COINAGE OF THE 18TH CENTURY – PART X – WARWICKSHIRE TO YORKSHIRE”FIRST EDITION – VERY RARE! This is an original 1915 first print from my own personal collection. This is part X (10) of a 14 part set. The book is complete with tissue guards that protect the beautiful plates and hand sewn pages – I would give the book a 8 out of 10 for condition based on the fact that it’s 99 years old. These original editions are next to impossible to find outside of specialty numismatic literature auctions.